One of the members of our local group of close watch buddies is someone I’ve mentioned here before as The Litigator: a semi-retired attorney who has made a second “fun” career in the world of watches. Courtesy of this connection, I had the privilege of being invited to the recent pre-opening gala for the San Francisco exhibition of the works of Abraham-Louis Breguet. And through the good offices of Quill & Pad co-founder Elizabeth Doerr, I also found myself with an invitation to the press briefing earlier in the day.  Since the foundation of my collecting passion has a lot to do with gaining access to the behind the scenes world of watches, I made a point of shuffling my “day job” schedule to attend. And now you can come along. Following a light buffet breakfast during which I had the chance to catch up with a few journalist friends and meet some others whose bylines were familiar, the Breguet team called the proceedings to order and offered us the opportunity to pose questions to Breguet CEO Marc Hayek, who joined us via Skype from Switzerland. Once the flow of questions from the professional working press subsided, I took the opportunity to pose a query of my own: what did Mr. Hayek hope that collectors, particularly those who might know of Breguet but not yet be committed to the brand, would learn from the exhibition? By looking at the pieces on exhibit and their dates, to receive a sense for the very short number of years within which Breguet was able to create a large number of fundamentally new timekeeping technologies and advance others. Similarly, by looking at multiple pieces from different years, to see how rapidly he and his successors improved the initial inventions. Finally, to go beyond marveling at the technical aspects to take home with us a part of Breguet’s spirit of fascination with timekeeping. With the thoughts Hayek expressed in mind and expert tour narration by Emmanuel Breguet, the exhibition and its organization made perfect sense as we moved from one class of timepiece to another and saw pieces that ranged across the timeframe of Breguet’s own career and beyond. I was repeatedly struck by the sense that Breguet was consistently innovating to serve the needs of his customers, not just to show off whiz-bang technology; a lesson that many of my Silicon Valley neighbors could stand to learn today. For instance, at court it was considered rude to check one’s watch: clever solutions included “à tact” watches such as the one pictured above, upon which the time could be gleaned by touch. Another example was the “dumb” striking watch that tapped out the time with hammers on the case. The latter should sound familiar to anyone who has ever placed her or his phone on “vibrate” mode at the theater! Another treat was the first self-winding watch, seen below, which, like the other early Breguet “perpétuelle” watches, used an oscillating hammer to actuate the winding gears. Then there was the “Sympathique” clock, designed to meet what must have been a frustration of watch owners on Breguet’s day: the inability of their pocket watches to keep time with the same precision as high-quality clocks. 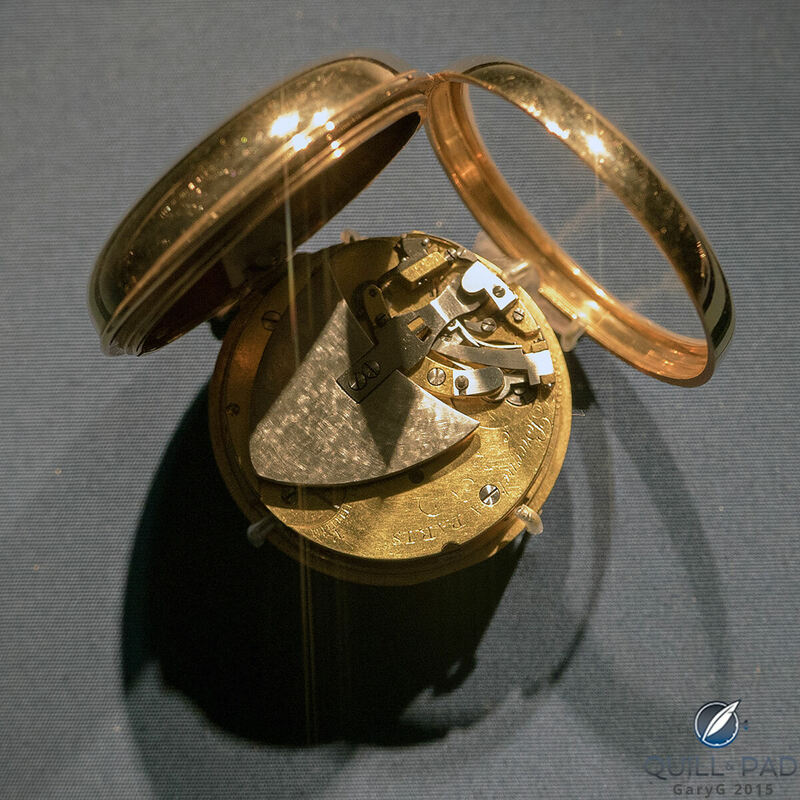 The clever solution, shown in the exhibition in the form of a later “new construction” version from 1834, was a watch that plugs directly into a cradle atop a clock and synchronizes itself automatically. How to keep the troops marching at a steady pace? The pocket metronome sold to officers of the Russian army. Have a hard time waking up? How about a small watch in the form of a ring that jabs the wearer with a tiny needle when it’s time to arise? 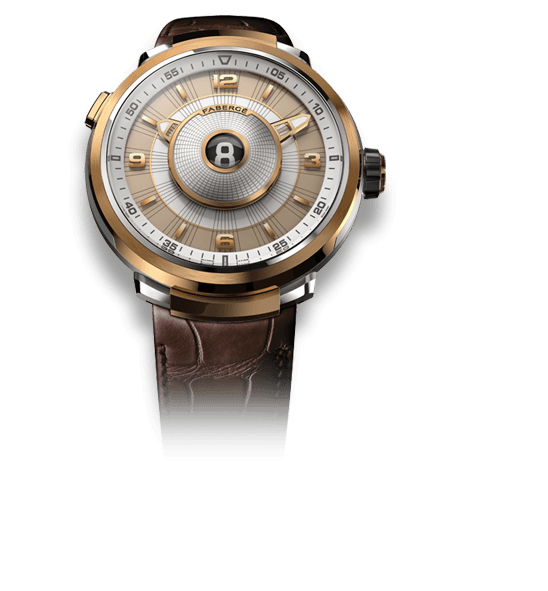 Okay, perhaps not every Breguet innovation was a long-term winner, but it’s hard to dispute the inventiveness that Breguet applied to bring technical solutions to bear on real consumer wants and needs. 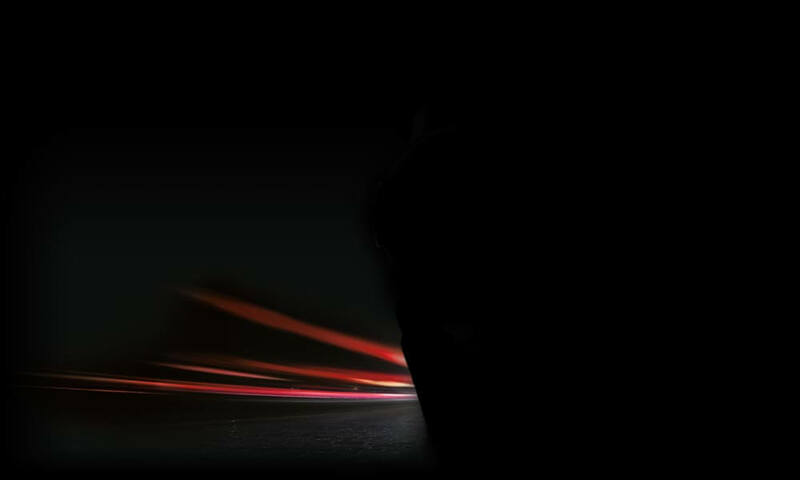 Actually, several of the innovations I’ve already shown above were surprises to me. 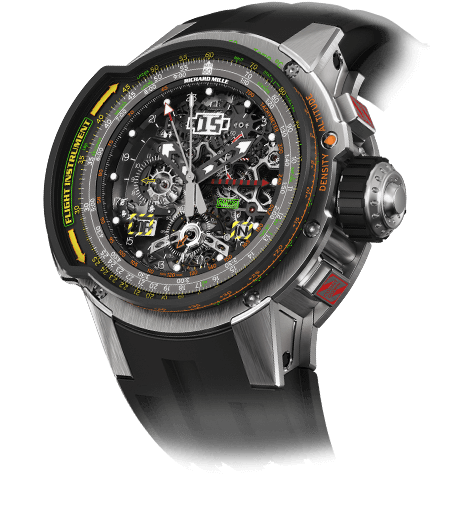 But there were even more, and perhaps more notable, examples in the exhibition, including the split-seconds “observation watch” chronograph that allowed the timing of intermediate events. Ever heard of F.P. 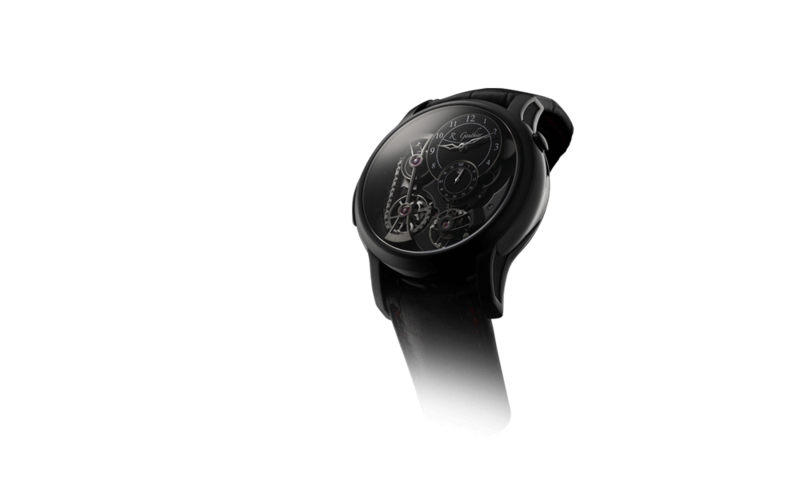 Journe’s Resonance, the watch that uses side-by side escapements oscillating in harmony to improve timekeeping, and displays the time kept by each on a separate subdial? If you have, then you may recognize the Breguet resonance piece from 1814 shown below: a cool 190 years prior to the Journe embodiment of the concept. Finally, how about the equation of time, the complication that allows a timepiece to show the difference between mean civil time and the time shown on a sundial resulting from the elliptical orbit of the earth as it orbits the sun? 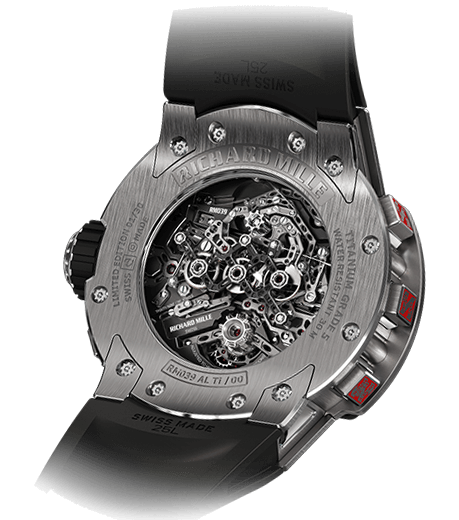 Yep, that too: of course, with the necessary perpetual calendar to operate the equation complication and a half-quarter repeater thrown in for good measure. I’m quite sure that collectors will be intrigued by all of these watches and more that space doesn’t permit me to mention. But I’m also confident that every collector will be keen to see two of the watches on display, each of which is a destination in itself. The first is the “Marie Antoinette” recreation developed by Breguet following the theft of the original from a Jerusalem museum. 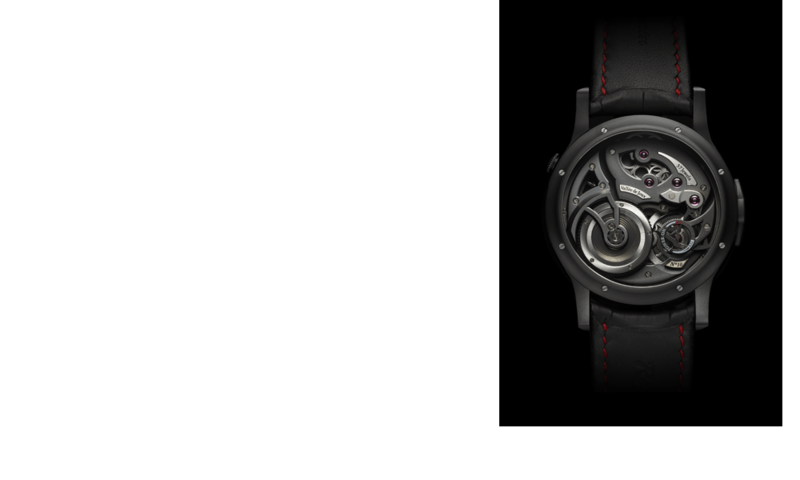 The second is the first-ever tourbillon watch from 1809. If you look carefully at the photo below, you will see that Breguet not only invented the tourbillon, but something perhaps a bit more questionable and follows us to the modern day: the practice of boasting in print on the dial that a tourbillon is hidden inside the movement! 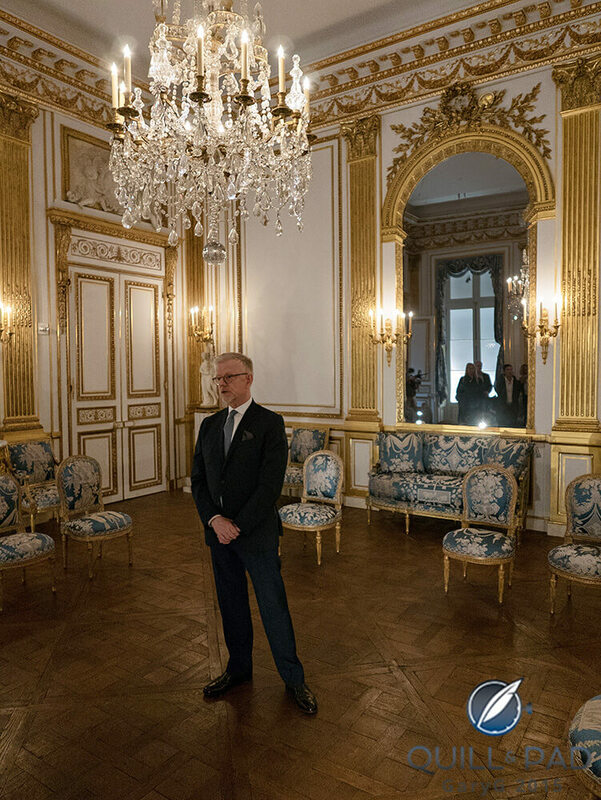 Following this breathtaking tour, we were treated to another treasure by the museum’s decorative arts curator, Martin Chapman: a tour of the Salon Doré, a fully reconstructed paneled room from a long-lost Paris mansion. The modern Breguet brand has a distinguished record of sponsoring the restoration of French historical sites, including most notably the Petit Trianon at Versailles. The Salon Doré brings a bit of the same atmosphere to the West Coast of the United States. Soon enough, though, it was time for the evening gala! Our table had the privilege to find Martin Chapman and some of The Litigator’s great friends among the seated. A splendid evening of food, wine, and conversation ensued. The dinner was set up in a large transparent tent in the front courtyard of the Legion of Honor; a great location, and quite conducive to table chat as well as a bit of circulating to meet up with old friends. Models circulated around the room wearing a tantalizing assortment of ladies’ Breguet watches and jewelry, with a particular emphasis on the Reine de Naples line inspired by the very first wristwatch, which was made for the Queen of Naples by Breguet in 1810. After all of this, dinner concluded with a lovely surprise: an almond dessert in the form of a Breguet watch! I strongly recommend visiting the San Francisco exhibit for yourself if you are in a position to do so. Looks like fun, and I see you sported the 10hz – that thing is a Lamborghini dressed as a Rolls! A great day from start to finish, Ryan! Great characterization of the 10hz — the level of technical achievement is fantastic, and it’s not so bad looking, either!